Sling TV is giving people a few more reasons to consider ditching cable as it adds A&E networks to its core streaming video bundle. A&E, History, H2, and Lifetime will all become part of Sling TV's $20 per month service by the end of this month. This brings the total number of channels in the basic bundle to 20, which is nearly double the number of channels Sling TV had when we reviewed it in January. Other channels in the core package include ESPN, CNN, and AMC. Sling notes that between TBS, TNT, and truTV, subscribers should be able to get many of the early round March Madness games starting this week. But since Sling doesn't include broadcast channels, you'll still need an old-school antenna to watch CBS games on TV. Finally, Sling is launching an app for Xbox One. The app will support Kinect voice and gesture controls, along with the “Snap” feature that lets users run two apps simultaneously. 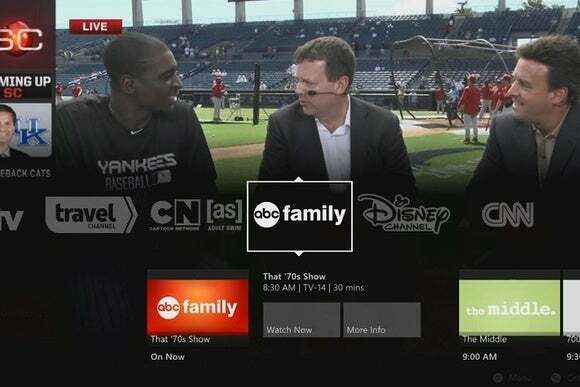 The Xbox One app is otherwise similar to Sling TV's existing television apps for Roku and Fire TV devices, though it lacks some advanced features such as bandwidth settings and ratings filters. While Sling isn't offering any Xbox One hardware bundles, as it is with Roku and Fire TV, the Xbox version does come with an extended one-month free trial. With the launch of the Xbox One app, Sling TV is now supporting nearly all of the devices it said it would. The only platform left on the agenda is Android TV, which is apparently “coming soon.” There's still no word on whether Sling TV is making apps for Apple TV or Chromecast. Why this matters: Sling TV seriously underpromised during its January reveal, when it had just 21 channels across its core bundle and add-on packages. Counting the new and upcoming additions, Sling TV now offers 50 channels in total, for which you can pay up to $45 per month. The service has already claimed at least 100,000 users, and the fast addition of new networks proves that there's plenty of interest in catering to cord cutters.